GIFT CARDS of any denomination are available in the gift shops at either farm. 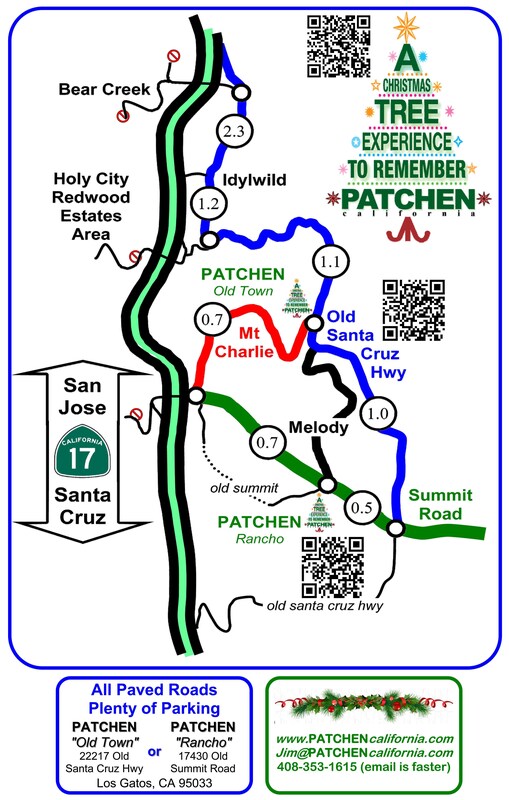 They can also be purchased on this page and mailed to you or directly to your gift recipient, along with driving directions to PATCHEN. To have your Gift Cards mailed by USPS Priority, directly to the recipients, include their mailing addresses and a note from you in the "Order Notes" box on the "Checkout" page. 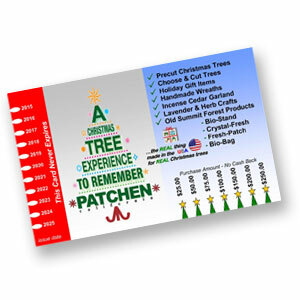 If you include their email addresses, they will receive special email offers and a special gift by USPS Mail to go with their REAL Christmas Trees or Wreath. For multiple cards, please indicate which cards go to each address.